The winner of the GIT Award 2014 will be revealed tonight, Getintothis gives you the lowdown ahead of the Kazimier spectacle. Figures from Merseyside and the national music scene will gather at Liverpool’s Kazimier tonight, to find out which of the 12 shortlisted artists will receive the GIT Award 2014. The industry showcase will be compered by the High Priest of Spectacle – Howard Be Thy Name in a lavish 70s style spectacle which will include performances from the shortlisted artists plus an aftershow and specially produced set pieces produced by a team of set designers and production crew. 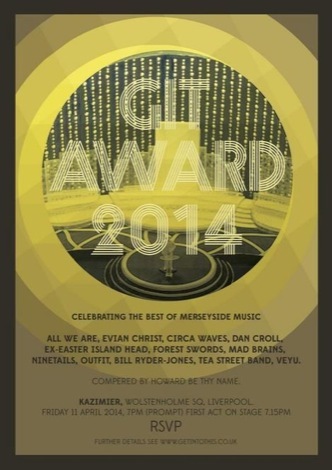 Now in its third consecutive year, The GIT (Getintothis) Award, champions the best of Merseyside music providing a snapshot of the year in music, recognising significant artistic achievement across a range of musical styles. This year’s shortlist was selected by national industry figureheads consisting of The Quietus editor John Doran, Music Week editor Tim Ingham, former Creation Records‘ boss Alan McGee, BBC Radio 6 Music‘s Camilla Pia, author and journalist Simon Price, Popjustice editor Peter Robinson, Guardian journalist Jude Rogers, XFM deputy programme manager Mike Walsh and NME radar editor Matt Wilkinson. The judging panel was completed by respected Merseyside music players including Liverpool Music Week director Mike Deane, Sound City and Club EVOL promoter Steve Miller, Liverpool International Music Festival curator Yaw Owusu, Bido Lito! editor Craig Pennington – and GIT Award founder and Liverpool Echo journalist, Peter Guy. This year, the Kazimier will transform their unique venue into a decadent studio of lavish 70s pomp and glitz complete with sequins, navel grazing necklines, ultra suede leisure suits and all manner of shimmer and sparkle with guests encouraged to dress the part. 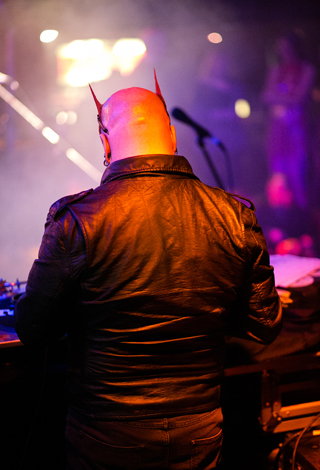 Following the show, the Quietus editor John Doran and journalist and Brighton DJ Simon Price – both GIT Award judges – will take to the decks for the aftershow. On the Merseyside front, Abandon Silence residents will also man the DJ booth throughout the evening. Dubbed ‘the Scouse Mercury Prize,’ backed by Yoko Ono and the cornerstones of Merseyside’s flourishing cultural community, the winner of the GIT Award 2014 is revealed on Friday April 11 at The Kazimier in Wolstenholme Square – picking up a cheque for £1,000. Since its re-launch in November 2013 up until the closing date at the end of January 2014, the GIT Award received more than 500 entries with the judges carefully whittling them down to just 12. 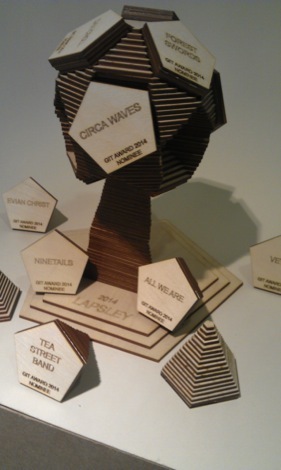 Lapsley – the GIT Award 2014 One To Watch – picture by Adam Johns. 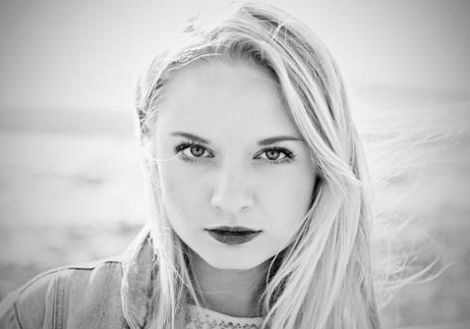 New for the GIT Award 2014 edition, Lapsley will receive the One To Watch Prize receiving studio time at Liverpool’s legendary Parr Street Studios and mentoring from sponsors Merseyside Arts Foundation. Live visuals, the One To Watch Award and mementoes for each nominee will be created by Liverpool architectural design agency ArchiPhonic who have overseen projects in the Baltic Triangle. Meanwhile Liverpool’s Royal Standard Art Gallery director, Mike Aitken will create two specially designed awards for the winners of the GIT Award 2014 and The Inspiration Award. 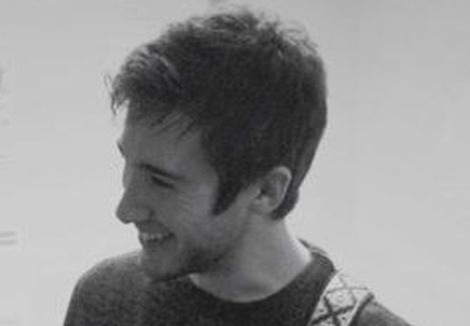 GIT Award founder and chair of judges, Peter Guy, said: “The 2014 GIT Award reaffirms my belief that there’s no region in the UK that can match the artistic ambition, technical craft and musical innovation that’s currently unfolding across Merseyside.